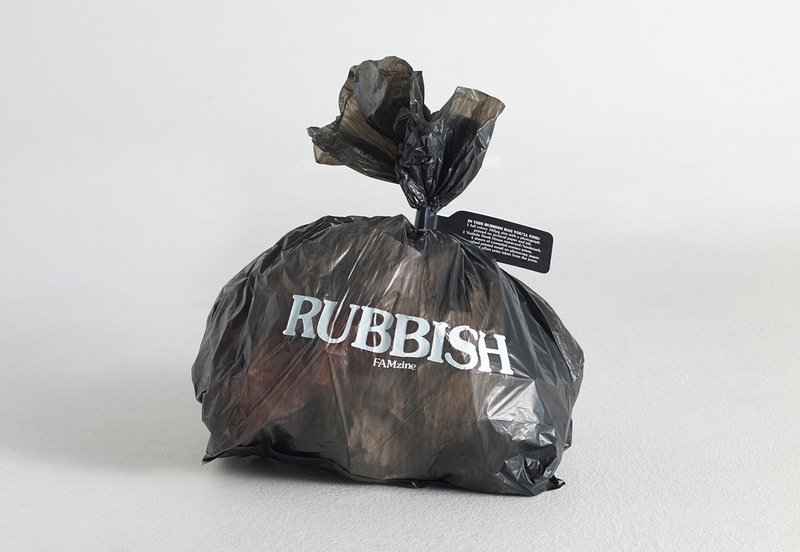 Open up the garbage bag and rummage through the discarded memories. Piece these crumpled scraps together and you just might discover that it forms the life of a family, with a husband, wife, son, and daughter. 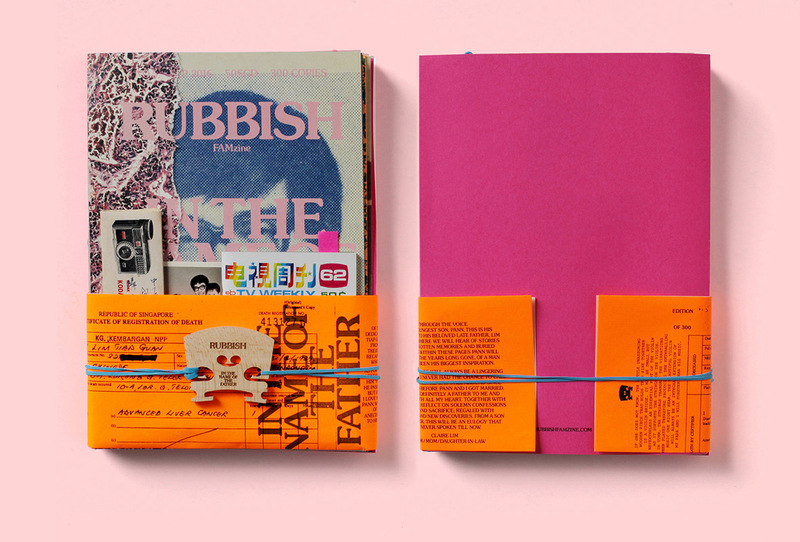 A tasty early-morning breakfast, a plate of sliced fruit, discolored family photo albums, the sounds of laughter and quarrels throughout the house – memories of all these sights, sounds, smells, and experiences come together in Rubbish Famzine, a zine made by the Lim family in Singapore. 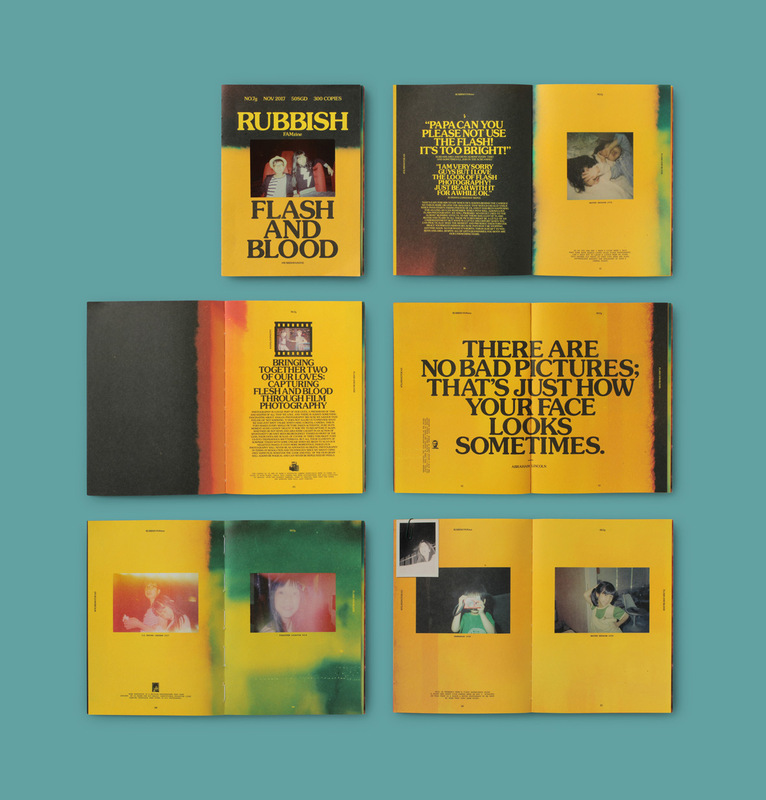 Starting with its inaugural issue in 2011, Rubbish has been made by the same four-person editorial team: husband-and-wife duo Pann and Claire, along with their son and daughter, Renn and Aira. 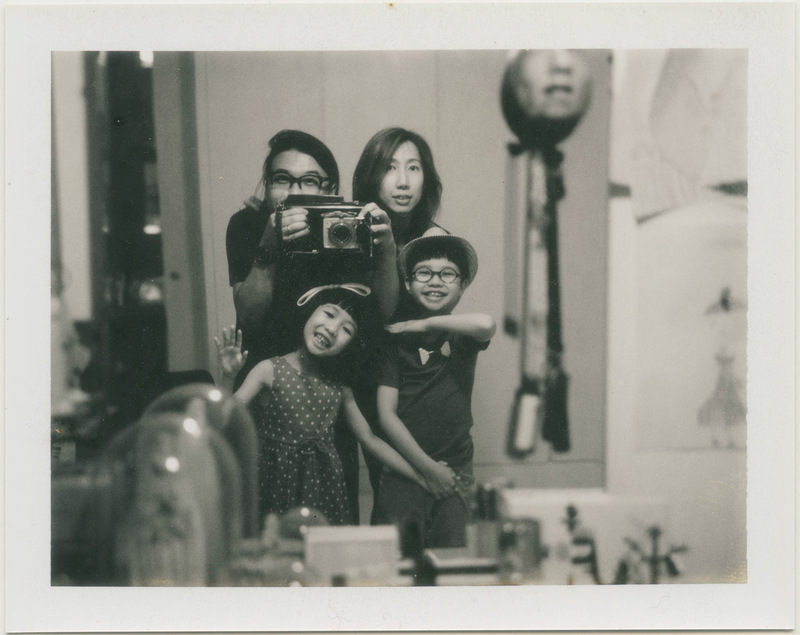 A seemingly ordinary family, the Lims are crafting family diaries in an extraordinary fashion. To Pann and Claire, their children aren’t just mischievous little rugrats who occasionally contribute to a discussion. 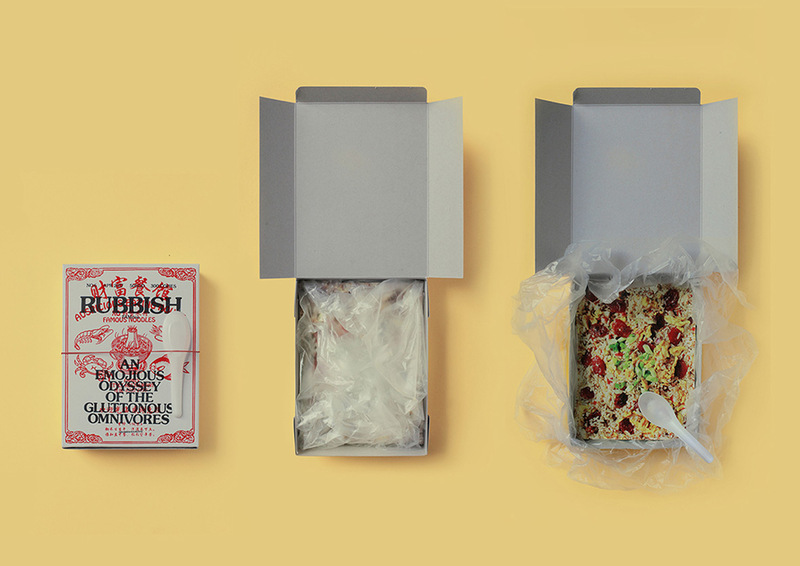 The family’s creative philosophy is that everyone has to contribute their own ideas. Renn and Aira may be young, but their input is respected, and sometimes their imagination can yield surprising results. Every issue is created in a casual atmosphere, with the entire family brainstorming over snacks, a pot of tea, and pen and paper. 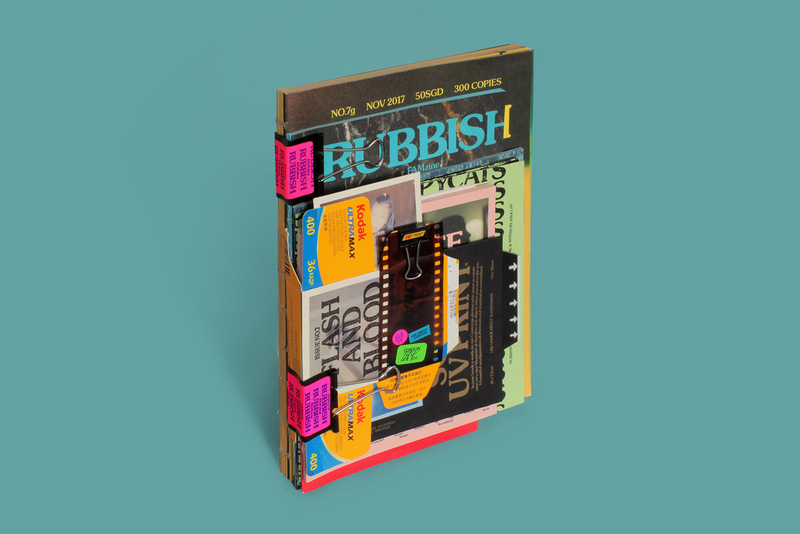 Then, through a series of candid conversations about their personal likes and dislikes, a new issue of this independent magazine born. Yet maybe “independent magazine” is the wrong word. 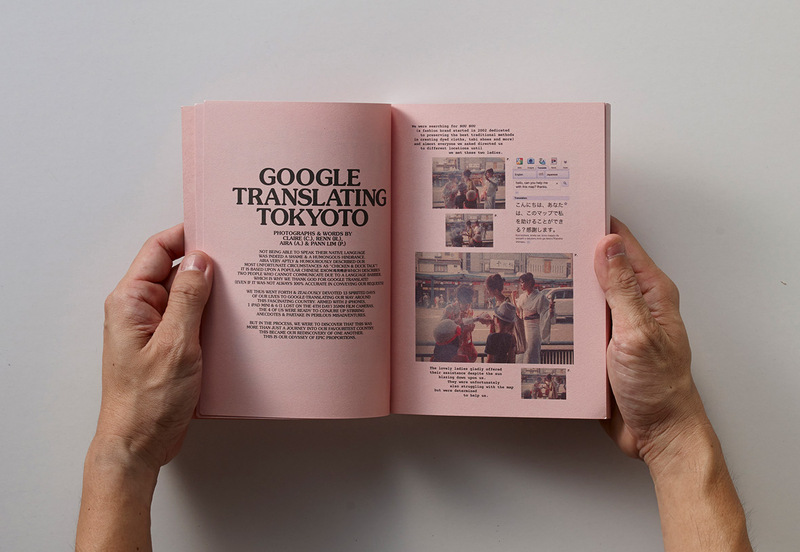 As its name indicates, it’s really a zine, and this concept is the core of its creation. 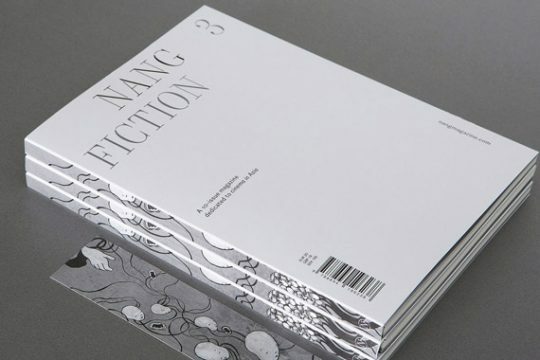 There’s no set distinction between the two, and both zines and independent magazines are outside mainstream media, non-commercial, not for profit, and not bound by social convention. 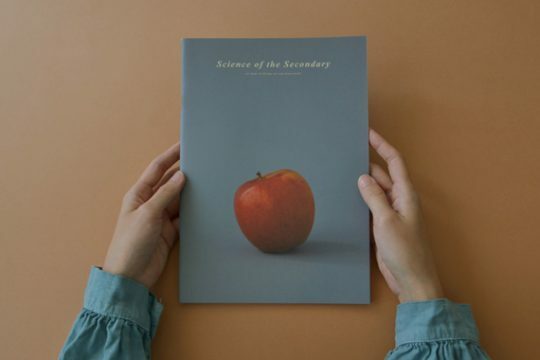 But while independent magazines are still magazines, with numbered issues, a regular publication, and retail distribution, zines tend to be small-scale publications that emphasize their handmade, artisanal quality and their creator’s lively spirit. As a family-centric publication, the happenings of the family—however mundane or normal—are of course covered from issue to issue. 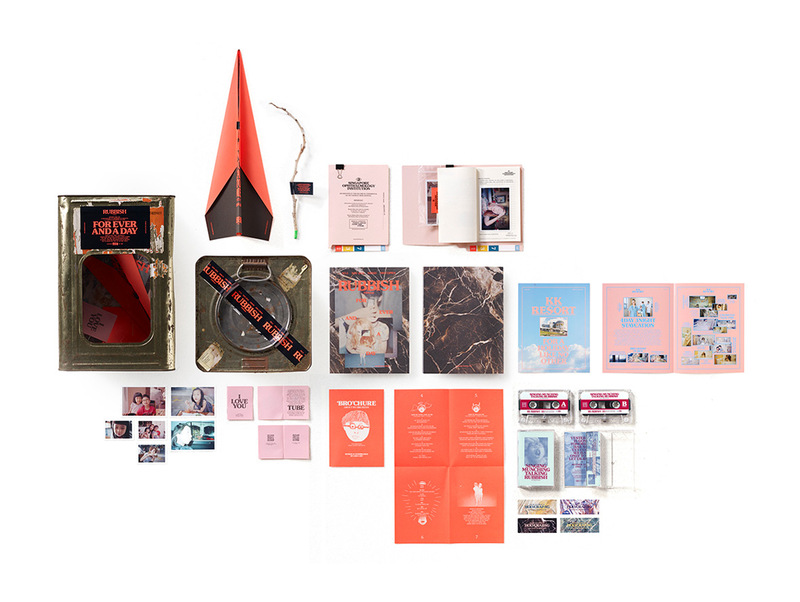 But what makes each story so captivating is linked to the Lim family’s playful packaging and layout designs. 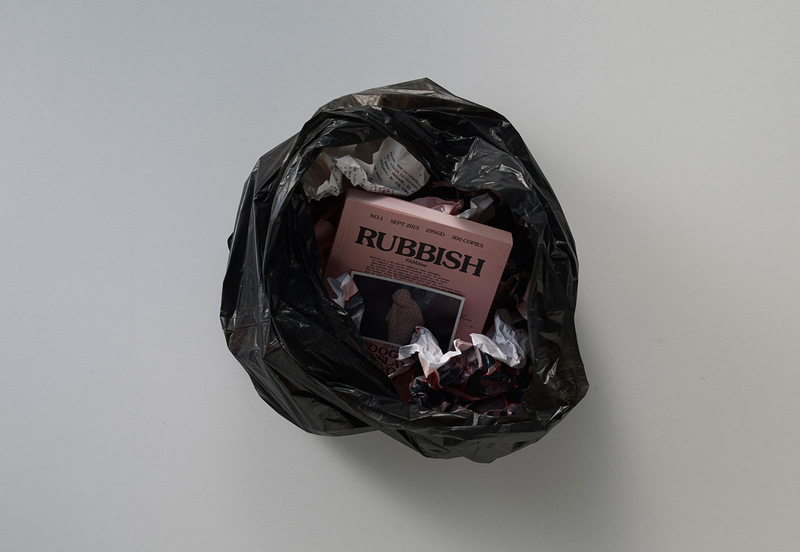 Staying true to the magazine’s title, product images for the debut issue were photographed with the magazine inside a generic black trash bag and surrounded by crumpled up paper scraps. 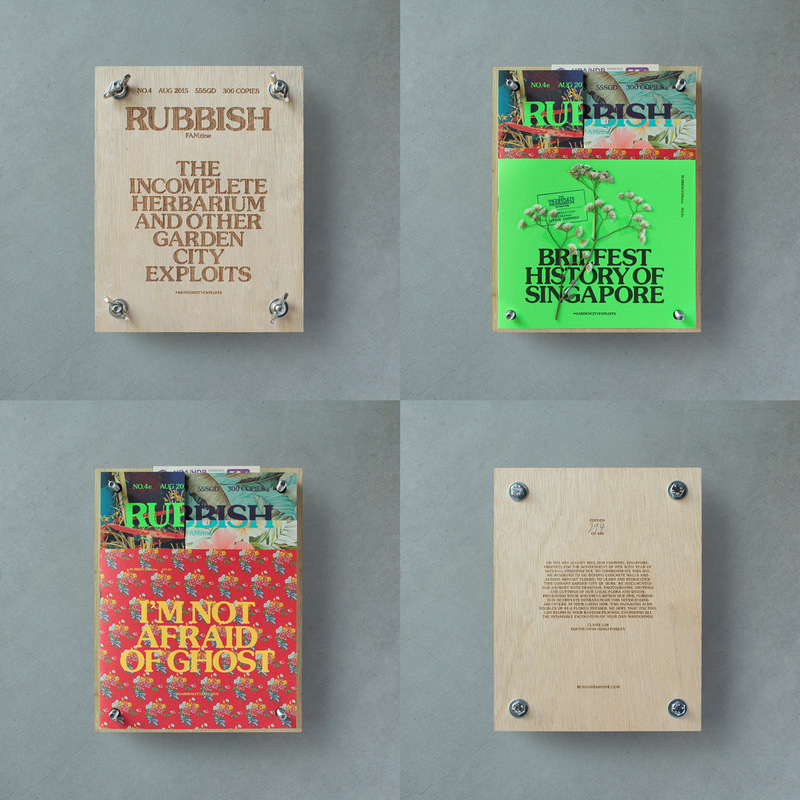 Adopting the aesthetic of old pamphlets and print material, this issue is comprised of five sub-issues of different sizes, all of which is thread bound. 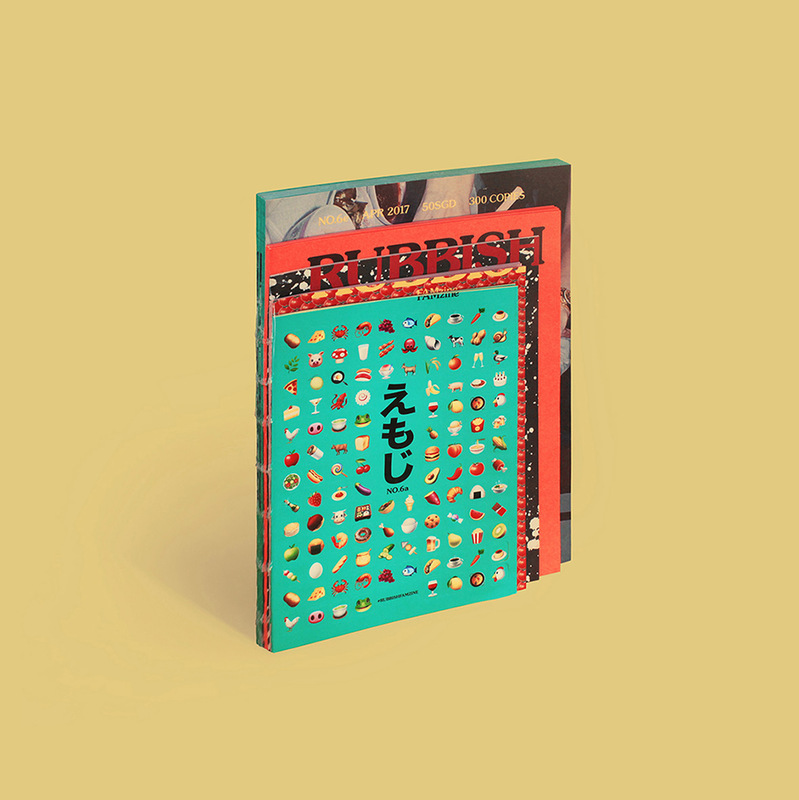 It’s all housed within a scaled-down replica of an old Chinese National Language School folder that inspired the issue. 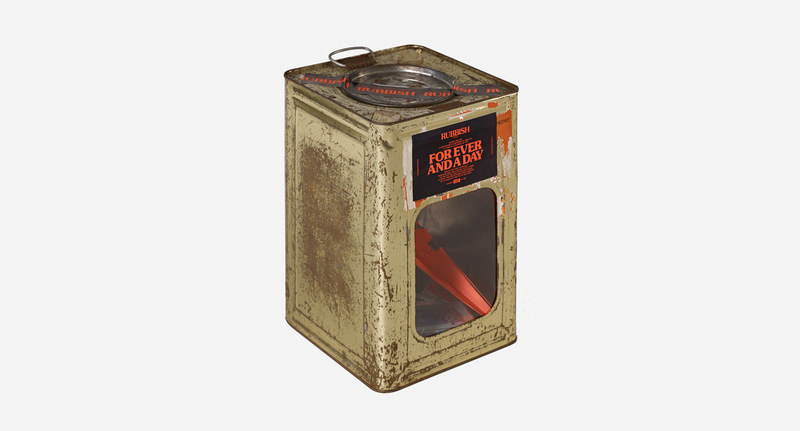 One of the most playful issues to date. 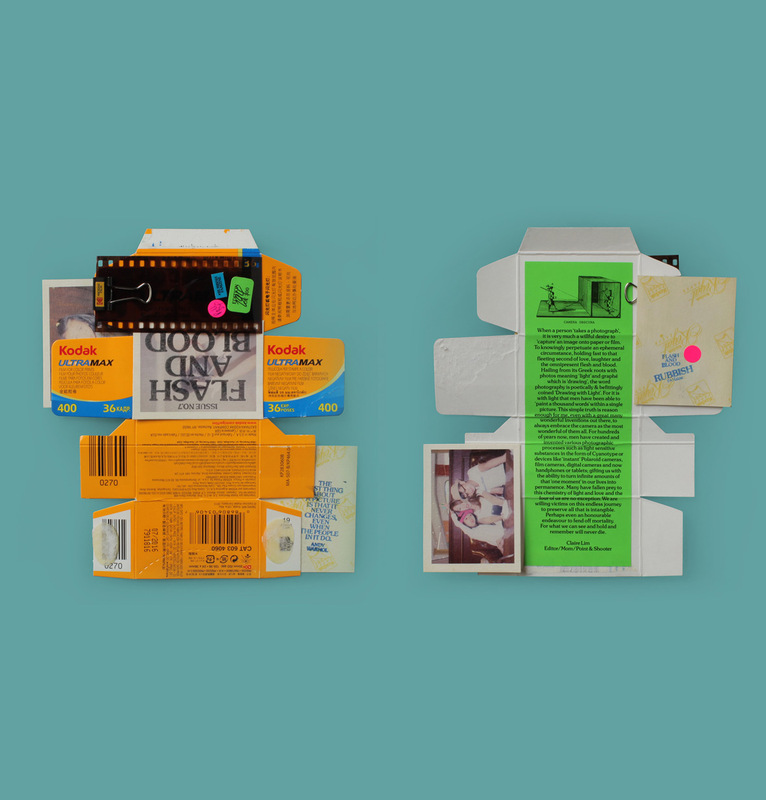 Loose and seemingly random objects—which includes a paper airplane, a twig, cassette tapes, folded sheets of paper, and mini brochures—all packaged inside a tin cookie can make up the issue. 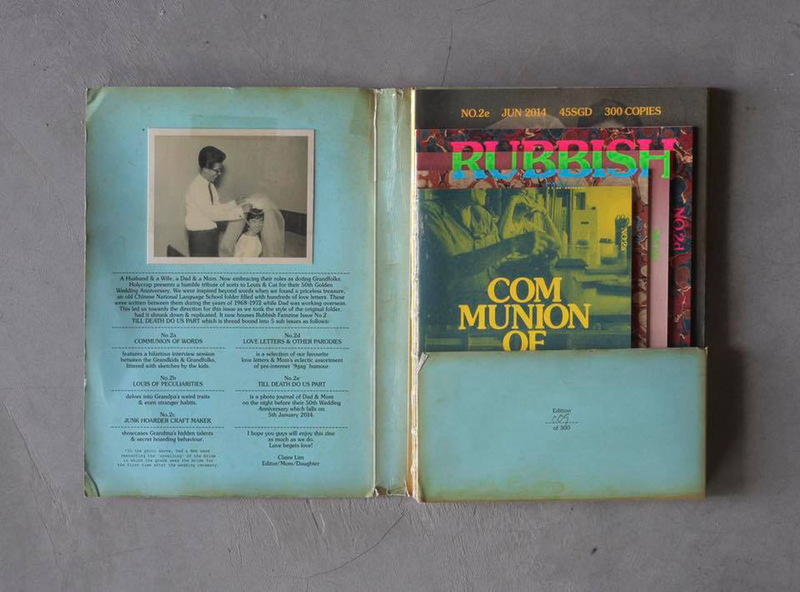 Two thin sheets of plywood make up the front and back cover of this issue, sandwiching the contents within. 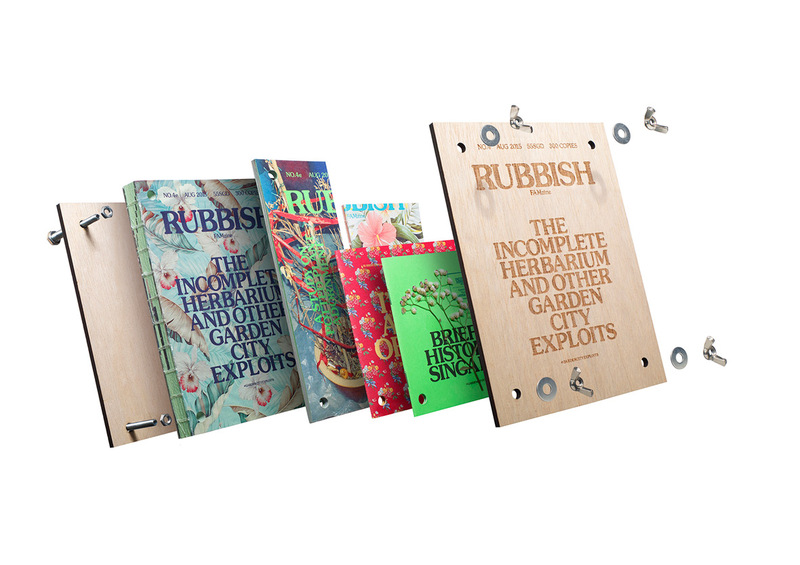 The use of wood is an allusion to the issue’s theme of urban gardens. 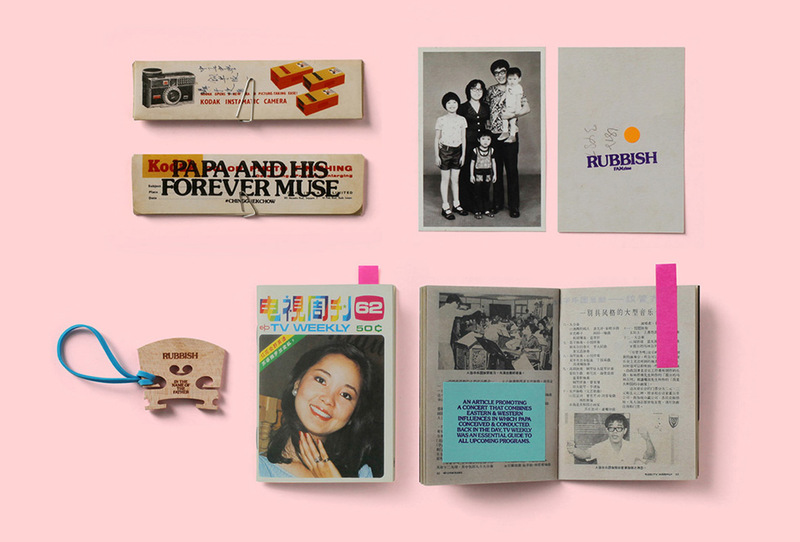 An issue of TV Weekly with Taiwanese singer Teresa Tang gracing the cover, a black-and-white family portrait, old publications filled with scribbles and notes, miscellaneous clippings held together with paper clips – this issue celebrates the life of Pann’s father, Lim Tiap Guan. 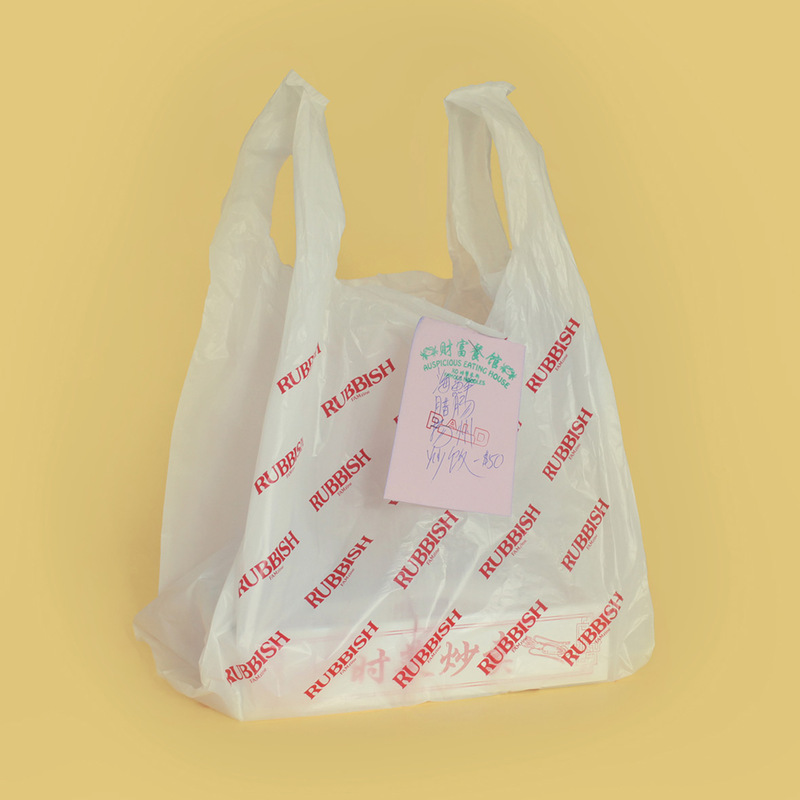 Designed like restaurant take-out, this issue makes gratuitous use of emojis as a means of expressing the family’s collective love for food. 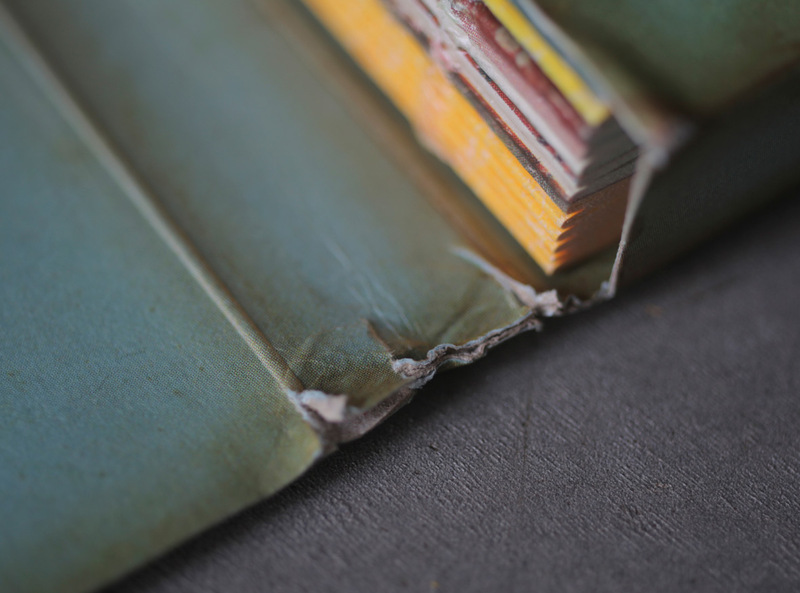 The layered binding makes for a fun journey into a world of all things delicious. 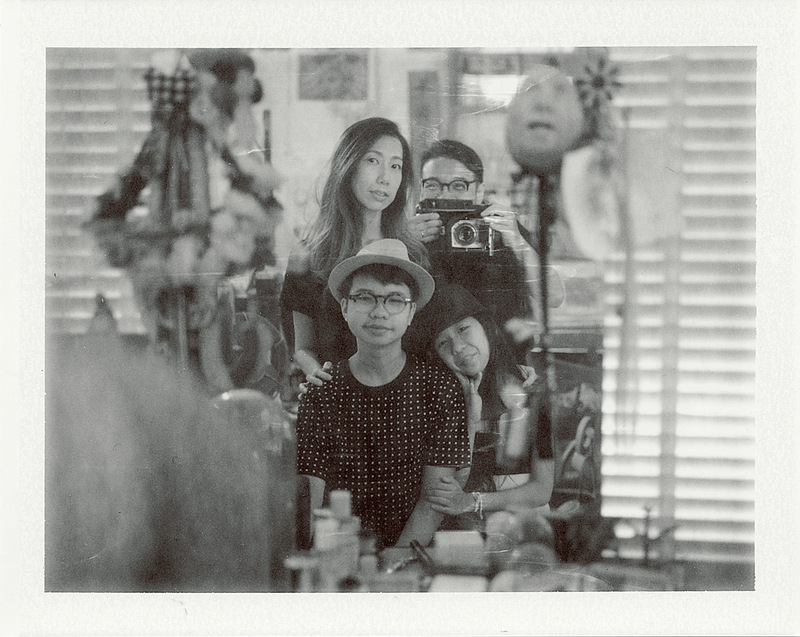 Featuring repurposed boxes of Kodak Ultramax 400, cyanotype paper, and an assortment of old family Polaroids, this issue is a loving ode to analog photography from the Lims. Pann is often asked a pointed question: is the magazine an invasion of his family’s privacy? 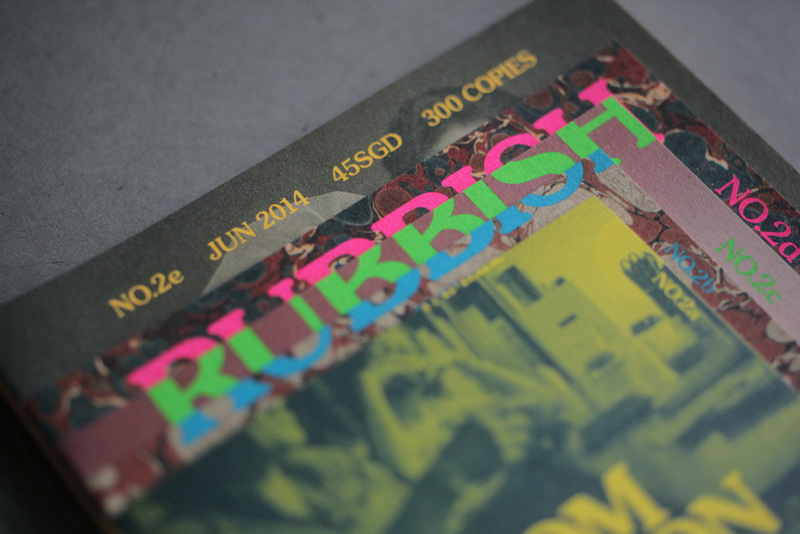 His answer is that Rubbish seeks to make appealing content, but it can’t help exposing some rather intimate stories. He explains that before every issue hits the printers, the family reaches a consensus on the content. So no matter if it’s stories of Pann’s father’s illness or the private love letters of his parents, everyone’s already given their approval. 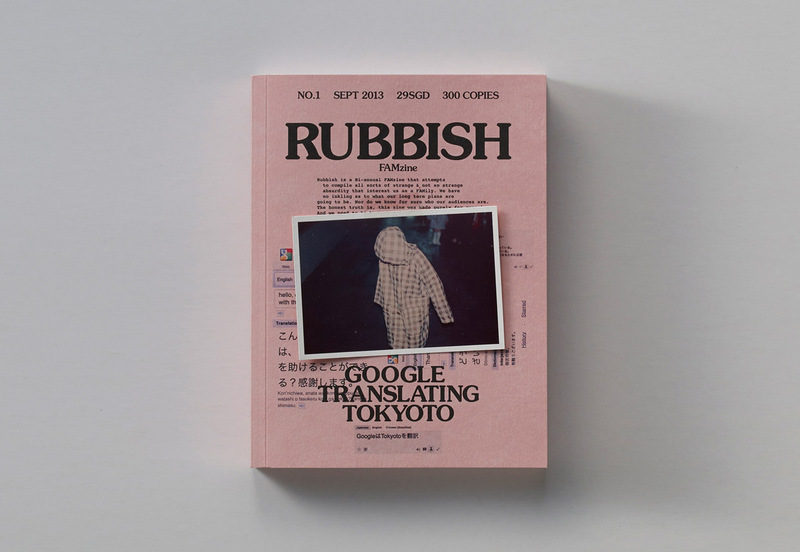 Ultimately, Rubbish is a physical manifestation of the Lim family’s love: their love for each other, their love of travel, and their love of country. 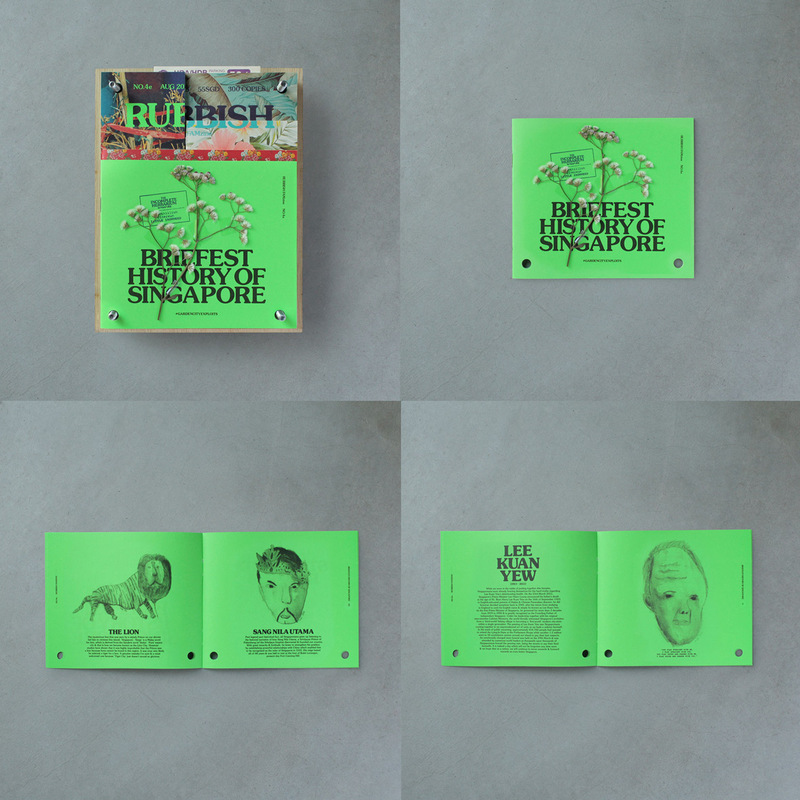 More importantly, they hope the zine can encourage, support, and help everyone who reads it. 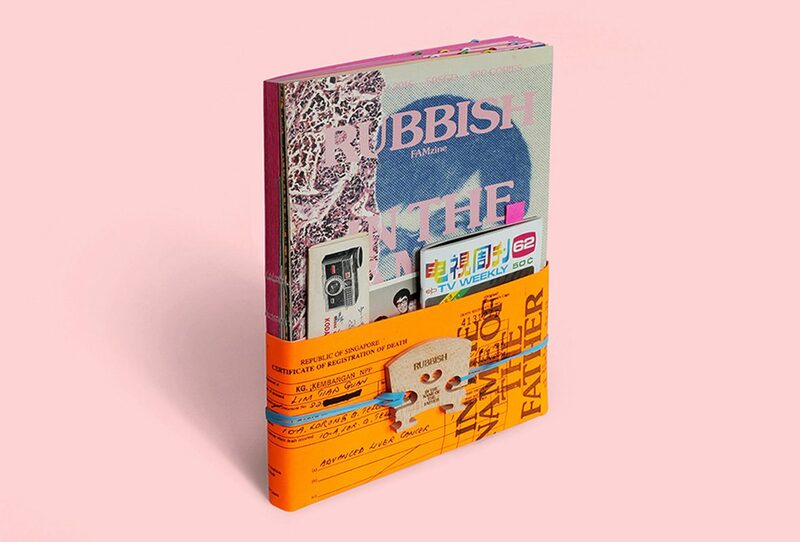 When asked about the name Rubbish Famzine, Pann laughs and says that “rubbish” is just something they often say at home instead of “stuff.” This playful means of communication perfectly encapsulates their quirky family dynamics. As the Lim family’s saga continues, fans eagerly await every new issue. And no wonder—each story is authentic and meaningful, and perhaps by reading them, readers can discover meaning among the clutter of life. I like fun, unique magazines with a fresh perspective. What comes to mind are LOST, Staple, Underscore, and Werk. 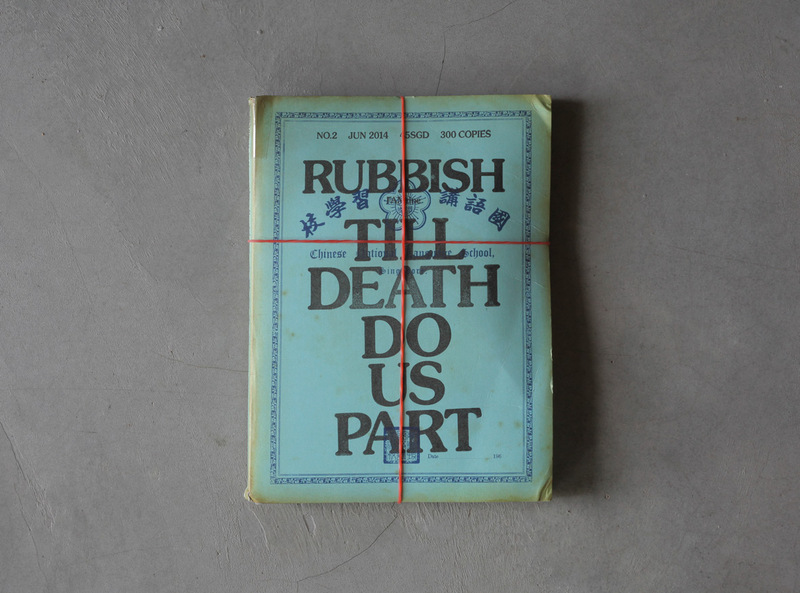 If more print media in Asia can take similar creative approaches, I expect more people will be willing to read them.